Hello fellow bloggers. Been out of the blogging game for a while but I’m back. 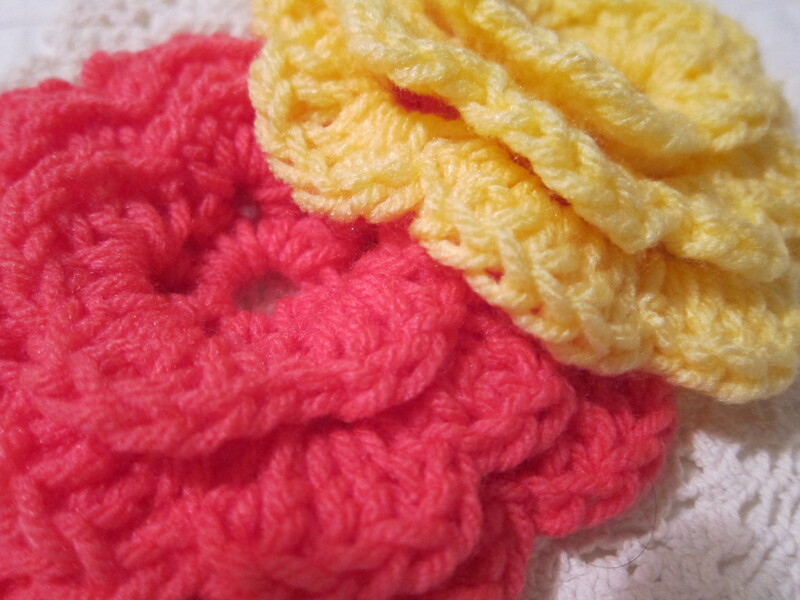 After blogging about organization and sharing a few recipes and handmade cards I thought it’d be nice to switch gears and share a little on some knitting and crocheting I’ve been doing. After all these are some of my favorite things 🙂 Now I’m not an experienced knitter by any stretch of the imagination but I am learning a few things here and there. It’s amazing what you can learn on YouTube. I really enjoy the fun tutorials you can find on just about anything. I’m more of a crocheter and haven’t knitted in over 20 years and only recently took it up again. Boy let me tell you, my fingers were all tangled up with the yarn. 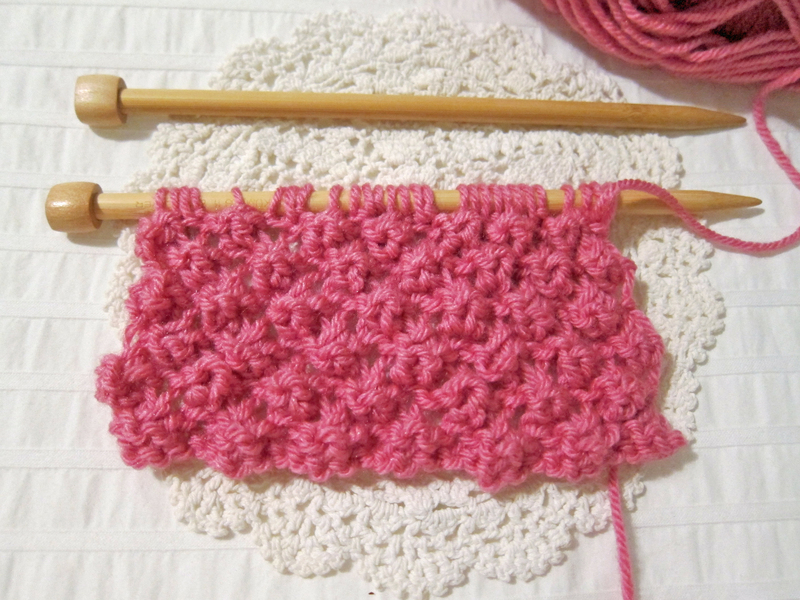 It took me a while before I finally got the hang of the knit and purl process. I guess when it comes to knitting or crocheting I’m one of those people who likes to work fast so my fingers were way ahead of my thought process. I was wanting to knit and purl before I could even understand on how to, resulting in a row of untidy looking stitches. But after lots of practice, redo’s and patience I finally got the hang of it. One fun stitch I learned was the Trinity stitch. 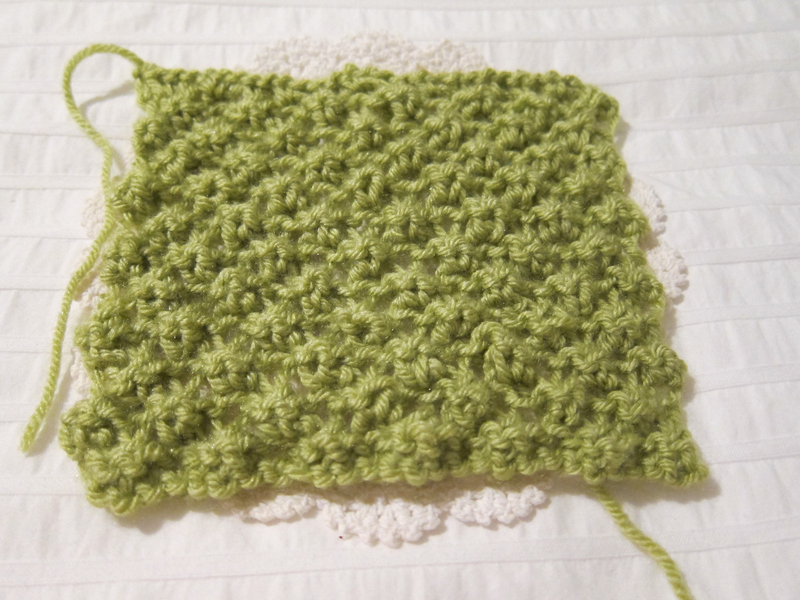 Really easy to learn and I decided to make a blanket using this stitch. Oh and did I mention that knitting is a great stress reliever? I thought it’d be cool to make several squares and then piece them together to make a blanket. Here’s what I have going so far…. 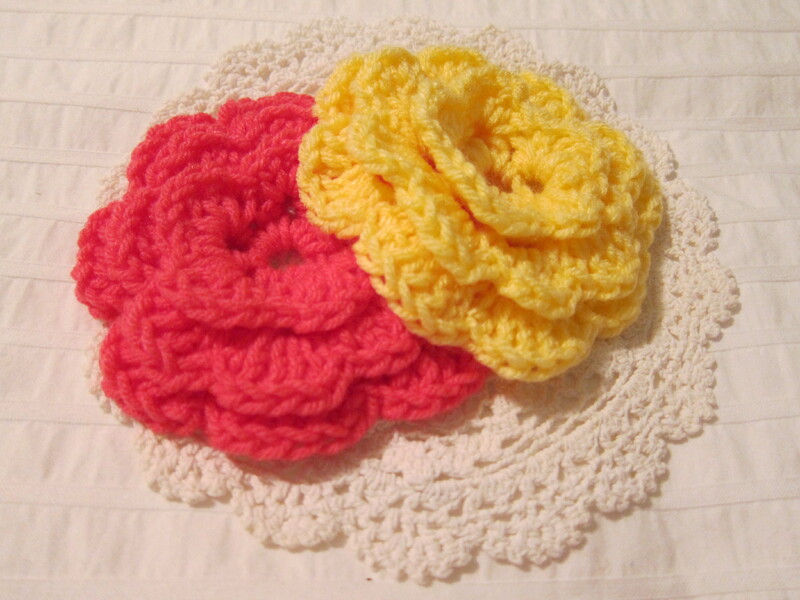 Learned to crochet flowers too. I think these are so adorable. Check back later for pictures of a cowl scarf I’m making. Oh the fun I’m having… 🙂 Night all!